**Slimming Belt from skusky. Price: $11.85. Discount: 60.49%. Categories: Health, Orthopedic, Accessories, Sponsored. Deal Rating: 5 Stars out of 5. Store Rating: 5 Stars out of 5. Deal Recommendation: Recommended. Available Until: Limited Quantity. Thoughts: Clearance – Slimming Belt. Deal Score: 75 out of 100. **Electronic Pulse Massager from skusky. Price: $15.98. Discount: 60.04%. Categories: Health, Orthopedic, Accessories, Massage, Sponsored. Deal Rating: 5 Stars out of 5. Store Rating: 5 Stars out of 5. Deal Recommendation: Recommended. Available Until: Limited Quantity. Thoughts: Clearance – Electronic Pulse Massager. Deal Score: 70 out of 100. **Unisex Power Magnetic Posture Support from skusky. Price: $1.99. Discount: 94.15%. Categories: Health, Orthopedic, Accessories, Posture Support, Sponsored. Deal Rating: 5 Stars out of 5. Store Rating: 5 Stars out of 5. Deal Recommendation: Recommended. Available Until: Limited Quantity. Thoughts: Clearance – Unisex Power Magnetic Posture Support. Deal Score: 100 out of 100. **HoMedics – Quad Shiatsu Massage Cushion with Heat – Brown from bestbuy. Price: $154.99. Discount: $75.00. Categories: Health, Personal Care, Massage, Sponsored. Deal Rating: 4.7 Stars out of 5. Store Rating: 5 Stars out of 5. Deal Recommendation: Recommended. Available Until: Limited Quantity. Thoughts: HoMedics Quad Shiatsu Massage Cushion: After a tough workout or long day, soothe tired muscles with heat and 3 massage modes. Zone Control allows you to enjoy the relief of a full back massage or target your upper back, lower back or other area. **Brookstone – S8 Shiatsu Massaging Seat Topper – Black from bestbuy. Price: $314.99. Discount: $85.00. Categories: Health, Personal Care, Massage, Sponsored. Deal Rating: 4.5 Stars out of 5. Store Rating: 5 Stars out of 5. Deal Recommendation: Recommended. Available Until: Limited Quantity. Thoughts: Get relief from back pain and stiffness with this Brookstone massaging seat topper. Its kneading shiatsu nodes offer deep, therapeutic massage to relax the back muscles, and Dynamic Squeeze technology provides targeted massage for the hips and waist. This Brookstone massaging seat topper works with a variety of chair types for versatility. **Brookstone – Neck and Back Sport Massager with Heat – Black from bestbuy. Price: $100.99. Discount: $29.00. Categories: Health, Personal Care, Massage, Sponsored. Deal Rating: 4.5 Stars out of 5. Store Rating: 5 Stars out of 5. Deal Recommendation: Recommended. Available Until: Limited Quantity. Thoughts: Soothe tight muscles with this Brookstone neck and shoulder massager. Its ten intensity levels and three massage programs let you customize your experience for the ultimate relaxation. This Brookstone neck and shoulder massager has an adjustable dial, so you can control the width between the massage nodes for better comfort and effectiveness. **iKayaa Living Room Recliner Ergonomic Massage Chair from lovdock. Price: $305.99. Discount: 39%. Categories: Health, Massage, Massage Chair, Sponsored. Deal Rating: 4.9 Stars out of 5. Store Rating: 5 Stars out of 5. Deal Recommendation: Recommended. Available Until: Limited Quantity. Thoughts: This is a very comfortable massage recliner for your family! It combines sofa and massage chair together and has 8 vibrating modes for you to choose. You can select massage time(15/30min), massage strength(from low to high), 4 fixed position massage of your back and waist. Soft padded chair, easy to recline as a lounge can make you feel greatly relaxed after a long time working, studying or just enjoy a cup of tea, take a snap, watching tv, reading books. You’ll have a happier leisure time with our massage recliner. **2-Position Electric TV Recliner Lift Chair Black from lovdock. Price: $336.88. Discount: 35%. Categories: Health, Massage, Massage Chair, Sponsored. Deal Rating: 4.9 Stars out of 5. Store Rating: 5 Stars out of 5. Deal Recommendation: Recommended. Available Until: Limited Quantity. Thoughts: The design of this lift chair, featuring a built-in electric lift and tilt system, is not only ergonomic, but also aesthetically pleasing. It will make a great addition to your interior. Color: Black. With stand up function. **Electric Artificial Leather Massage Chair Cream from lovdock. Price: $238.29. Discount: 13%. Categories: Health, Massage, Massage Chair, Sponsored. Deal Rating: 4.5 Stars out of 5. Store Rating: 5 Stars out of 5. Deal Recommendation: Recommended. Available Until: Limited Quantity. Thoughts: This high-quality massage chair, with a remote control and 10 massage functions for the neck, back and calf muscles, will allow you to fully relax at home or in the office. Color: Cream. Chair dimensions: 35.4″ x 32.3″ x 40.9″ (L x W x H). Dimensions reclined: 61.8″ x 32.3″ x 32.7″ (L x W x H). Seat height: 20.5″. **Electric Artificial Leather Massage Chair Black from lovdock. Price: $197.24. Discount: 29%. Categories: Health, Massage, Massage Chair, Sponsored. Deal Rating: 4.8 Stars out of 5. Store Rating: 5 Stars out of 5. Deal Recommendation: Recommended. Available Until: Limited Quantity. Thoughts: This high-quality massage chair, with a remote control and 10 massage functions for the neck, back and calf muscles, will allow you to fully relax at home or in the office. Color: Black. Chair dimensions: 90 x 82 x 104 cm (L x W x H). Dimensions reclined: 157 x 82 x 83 cm (L x W x H). Seat height: 52 cm. Material: Artificial leather + wood. **Cream White Electric TV Recliner Massage Chair with Footstool from lovdock. Price: $242.34. Discount: 13%. Categories: Health, Massage, Massage Chair, Sponsored. Deal Rating: 4.5 Stars out of 5. Store Rating: 5 Stars out of 5. Deal Recommendation: Recommended. Available Until: Limited Quantity. Thoughts: This luxurious electric massage chair is ergonomically designed for ultimate comfort. 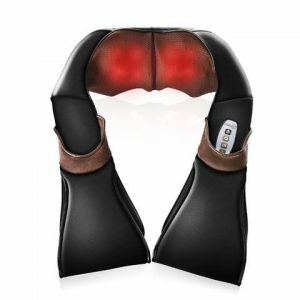 It has 10 massage nodes (for head, neck, back calf muscles. etc.) that will help you unwind after a busy day. Color: Cream white. Chair dimensions: 2′ 2” x (3′ 2” – 3′ 4”) x (2′ 3” – 3′ 3”) (W x D x H). Footstool dimensions: 1′ 7” x 1′ 6” x 1′ 5” (L x W x H). Backrest height: 1′ 5”. **Black Electric Artificial Leather Massage Chair with Super Screen from lovdock. Price: $661.10. Discount: 35%. Categories: Health, Massage, Massage Chair, Sponsored. Deal Rating: 4.9 Stars out of 5. Store Rating: 5 Stars out of 5. Deal Recommendation: Recommended. Available Until: Limited Quantity. Thoughts: This ergonomically designed massage chair will make you feel completely revitalized after a busy day at work. 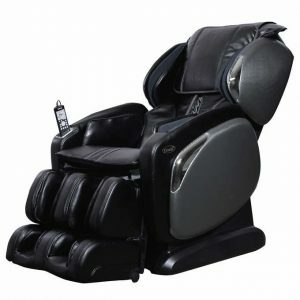 Do not deny yourself the luxurious relaxation this massage chair can provide. Color: Black and silver. Total dimensions (when not extended): 30.7″ x 53.5″ x 42.1″ (W x D x H). Total dimensions (when fully extended): 30.7″ x 68.9″ x 29.9″ (W x D x H). **Electric Artificial Leather Massage Chair Cream from lovdock. Price: $195.89. Discount: 26%. Categories: Health, Massage, Massage Chair, Sponsored. Deal Rating: 4.8 Stars out of 5. Store Rating: 5 Stars out of 5. Deal Recommendation: Recommended. Available Until: Limited Quantity. Thoughts: This high-quality massage chair, with a remote control and 10 massage functions for the neck, back and calf muscles, will allow you to fully relax at home or in the office. Color: Cream. Chair dimensions: 90 x 82 x 104 cm (L x W x H). Dimensions reclined: 157 x 82 x 83 cm (L x W x H). Seat height: 52 cm. Material: Artificial leather + wood. **Electric Artificial Leather Massage Chair Black from lovdock. Price: $203.86. Discount: 50%. Categories: Health, Massage, Massage Chair, Sponsored. Deal Rating: 5 Stars out of 5. Store Rating: 5 Stars out of 5. Deal Recommendation: Recommended. Available Until: Limited Quantity. Thoughts: This adjustable massage chair, with a remote control and 10 massage functions for the neck, back and calf muscles, will allow you to fully relax at home or in the office. Color: Black. Material: Wooden frame + artificial leather upholstery. Total dimensions (when not extended): 2′ 3″ x 2′ 10″ x 3′ 10″ (W x D x H). Total dimensions (when fully extended): 2′ 3″ x 5′ x 3′ 4″ (W x D x H). Seat height: 1′ 6″. **BioEnergiser Foot Spa from verseo. Price: $125.00. Discount: $24.95. Categories: Health, Relief, Foot Spa, Sponsored. Deal Rating: 4.5 Stars out of 5. Store Rating: 5 Stars out of 5. Deal Recommendation: Recommended. Available Until: Limited Quantity. Thoughts: Rebalance your body and soul with this revolutionary detox system. A gentle bio-energetic wave travels through the body to rebalance the equilibrium of the cells, kick-starting your natural detoxification process. The body is then able to efficiently extract positive nutrients while disposing of unwanted waste and toxins through the more than 2000 pores in the feet. **Zebra Massage Mat from verseo. Price: $99.95. Discount: $10.00. Categories: Health, Relief, Massage Mat, Sponsored. Deal Rating: 4.5 Stars out of 5. Store Rating: 5 Stars out of 5. Deal Recommendation: Recommended. Available Until: Limited Quantity. Thoughts: Relaxing massage mat in a Zebra motif. Five powerful vibrating motors target 5 different body zones for relaxing massage. 1 motor each for the neck and shoulder area, the middle back area, lower back and thigh areas, and calves. Mat can be placed on a bed, recliner, sofa or any soft area. Massage various body areas independently or in preferred combination simultaneously. Washable Zebra cover. Heat in back area. 2 Intensity levels and light on the hand control indicates selected areas. **Freedom Cycle from verseo. Price: $149.95. Discount: $30.00. Categories: Health, Exercise, Static Cycle, Sponsored. Deal Rating: 4.5 Stars out of 5. Store Rating: 5 Stars out of 5. Deal Recommendation: Recommended. Available Until: Limited Quantity. Thoughts: No need to find time to exercise or drive yourself to a gym. The Verseo Freedom Cycle is a discreet, easy-to-use exercise bike and the best part is you can use it anyplace – literally working out while you work. It fits in small spaces: under your desk, under the kitchen table, even in front of the couch while you watch TV. Don’t be passive and just use an ottoman, be proactive in your health and well being by pedaling instead. **Electric Full Body Roller 3D Kneading Knocking Massage Chair from costway. Price: $685.95. Discount: 20%. Categories: Health, Massage, Chair, Sponsored. Deal Rating: 4.5 Stars out of 5. Store Rating: 5 Stars out of 5. Deal Recommendation: Recommended. Available Until: Limited Quantity. Thoughts: This black massage chair made of customized PU material is super soft and comfortable; it will be super deluxe to place in your home. It brings full body cycle massage, from neck, back, shoulder, waist, hip to legs. Without a lot of burdensome designs, this massage chair mainly focuses on the practical functions, especially the 3D massage manipulator and S design massage track, giving you a really comfortable massage experience and reducing your body fatigue. The intensity is adjustable to meet your demands. **Ergonomic Heated Massage Recliner Sofa Chair from costway. Price: $293.95. Discount: 20%. Categories: Health, Massage, Chair, Sponsored. Deal Rating: 4.5 Stars out of 5. Store Rating: 5 Stars out of 5. Deal Recommendation: Recommended. Available Until: Limited Quantity. Thoughts: Designed with 8 vibrating massage nodes, the deluxe ergonomic massage chair is made to ensure you a super relaxing time. Functional as it is, the recliner equipped with a heating option, are sure to offer the finest relaxation and comfort for your back, lumbar and legs. It is worth to be reminded that the backrest, seat and the armrests are all made of premium sponge pad, adding extra supports to satisfy your exhausted body. What’s more, there are two cup holders at your easiest reach allowing for a sip when chilling out and the legrest can be outstretched for comfortable sit. **Recliner Massage Sofa Chair Heated Lounge Couch from costway. Price: $276.95. Discount: 20%. Categories: Health, Massage, Chair, Sponsored. Deal Rating: 4.5 Stars out of 5. Store Rating: 5 Stars out of 5. Deal Recommendation: Recommended. Available Until: Limited Quantity. Thoughts: There are 5 massage modes available for your preference which are pulse, press, wave, auto and normal. The 8 massage nodes, which are of different levels of vibrating intensity with a heating option, are sure to offer you the finest relaxation and comfort for your back, lumbar and legs. What’s more, It is worth to be reminded that the backrest, seat and the armrests are all made of premium sponge pad, adding extra supports to satisfy your exhausted body.